Members of schools chief Sherri Ybarra’s Red Tape Committee are looking to Ybarra to turn their recommendations for cutting paperwork requirements into bills for the 2019 Legislature. Since early this year, the 17-member committee has focused on ways to cut down on compliance-based reporting requirements, arguing that this would free up administrators and education officials to focus on academics and learning. The committee, including superintendents and charter school administrators from every region of the state, received an update Tuesday on its seven recommendations and discussed additional ways to streamline reports. Combining the continuous improvement plan, literacy plan and college-and-career advising plan into a single document, which districts and charters would post on their websites annually by Oct. 1. Creating a combined, single-plan template that charter school leaders can use to supplement information required by the Charter School Performance Certificate. Revising the state’s education report cards by linking to certain information. Adding a form that district and charter school administrators can sign providing assurance that report card data has been reviewed and performance targets amended. Allowing district or charter officials to sign assurance forms attesting to the validity and fidelity of teaching evaluations, rather than submitting the actual evaluations to the State Board of Education for review for compliance. Exempting administrators from reviews of their teaching evaluations if they were reviewed in the previous year and found to be compliant. Exempting administrators from certain recertification requirements if they teach a State Board-approved evaluation course. Ybarra was on the campaign trail in East Idaho and did not attend the meeting. One of her deputies and other state officials said three committee recommendations would require changes to the law. “Because this was the superintendent’s committee, she would need to be the one to bring forward statutory changes this session,” said Tracie Bent, the State Board’s chief planning and policy officer. Committee members also began to wonder whether results of the Nov. 6 election could affect the fate of their recommendations. “Should the election in a couple of weeks change all that, is this all null and void?” Payette Superintendent Robin Gilbert asked. A few committee members laughed after Gilbert’s question. But Cindy Wilson, Ybarra’s Democratic opponent, isn’t a member of the Red Tape Committee, so it’s unclear how Wilson’s administration would handle the recommendations if she defeats Ybarra. 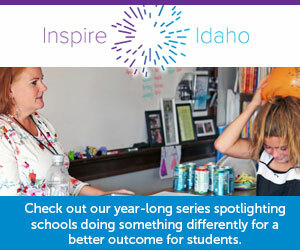 In other developments, Boise Superintendent Don Coberly said his district has drafted a resolution for the Idaho School Boards Association’s annual conference, seeking to amend the continuous improvement plan law and revert to a strategic plan. Boise’s proposal would still require data-driven strategic plans, while removing 14 different “student readiness metrics” that are now required. Coberly said many districts are forced to develop two strategic plans — one to guide district decisions, and a second to satisfy state reporting requirements. “There is increasing concern about the amount of paperwork in general, whether it’s evaluations or strategic plans or literacy plans, it has just become all-consuming,” Coberly said after the meeting. Peter McPherson, Ybarra’s chief deputy superintendent, said he would bring the committee’s concerns and recommendations to his boss. It was unclear where the committee goes next, but the Nov. 6 election and the response from the 2019 Legislature will surely be factors. Coberly and Gilbert said they enjoy serving on the committee and appreciate the chance to learn from their peers and recommend changes. But Ranells and other committee members said they would not be interested in reconvening the committee if their recommendations don’t move forward.